Kiplinger’s Personal Finance has included Yeshiva University on its list of the country’s best values in private colleges. Kiplinger’s annual list ranks 100 private universities and 100 liberal arts colleges. The top 50 colleges and top 50 universities appear in Kiplinger’s December issue—on newsstands November 5. YU came in at number 33 overall on the list. 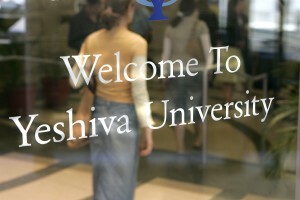 Yeshiva University and the other schools included in the 2014 lists represent the colleges that provide high-quality academics at a reasonable cost during these continued tough economic times. The colleges exemplify the attributes parents and students look for in higher education, including small class sizes, a good freshman retention rate and a high four-year graduation rate. Kiplinger’s rankings measure academic quality and affordability. Academic criteria include the student admission rate (the number of students accepted out of those who apply), the test scores of incoming freshmen, the ratio of students to faculty members, and the four- and five-year graduation rates. On the cost side, Kiplinger’s measures the sticker price, the availability and average amount of need-based and merit-based financial aid, and the average student debt at graduation.